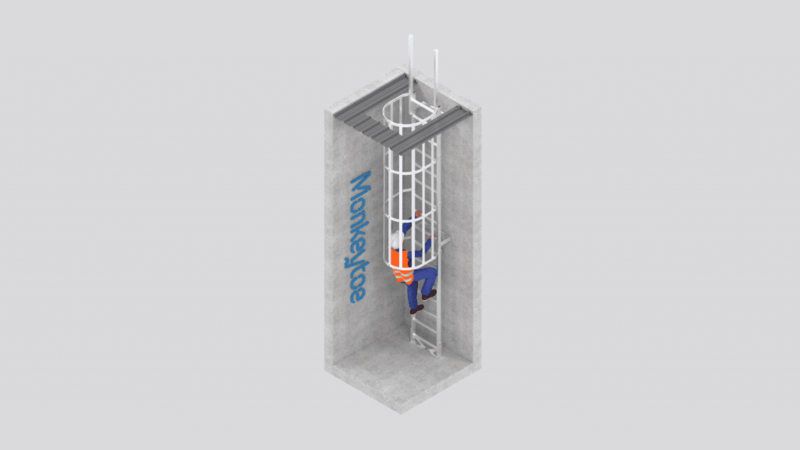 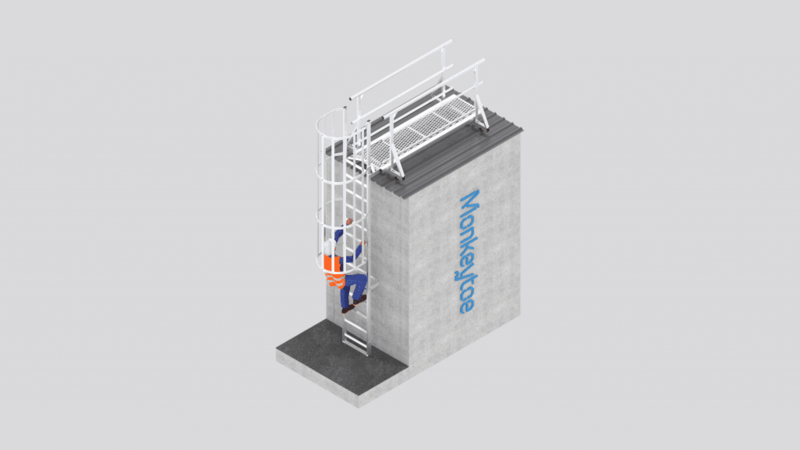 Access the most difficult places simply and safely with Monkeytoe’s fixed aluminium roof access ladders and cages. 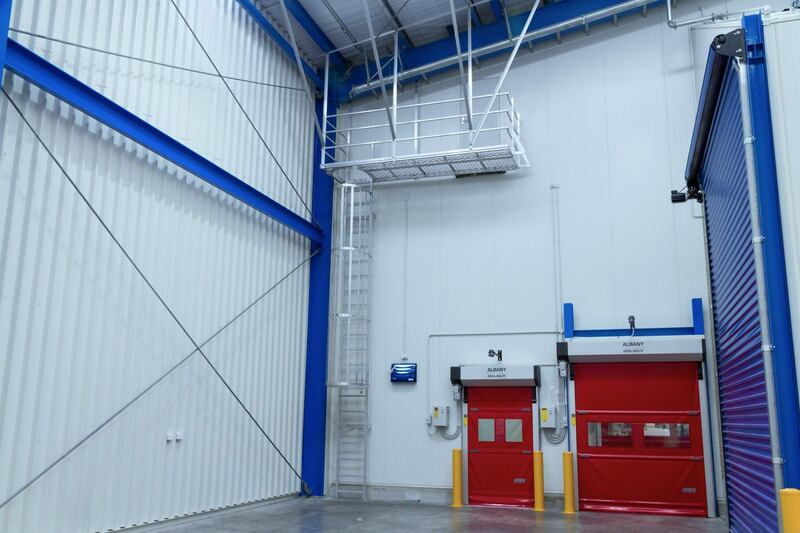 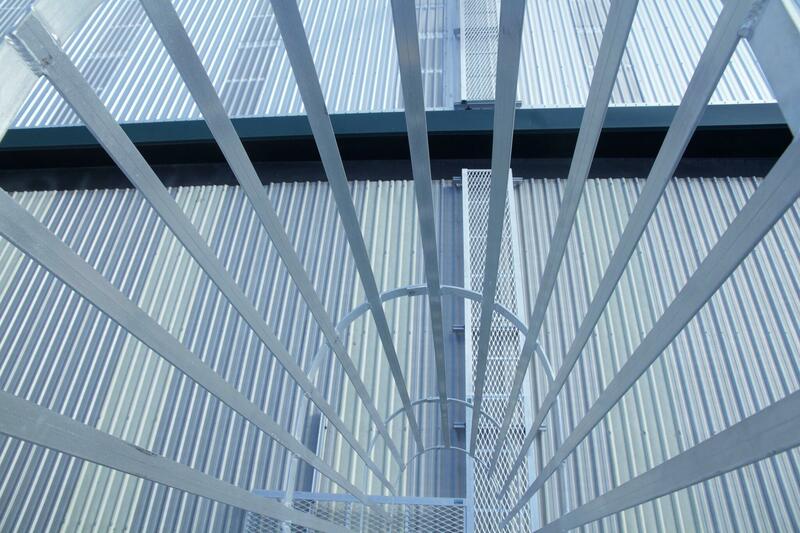 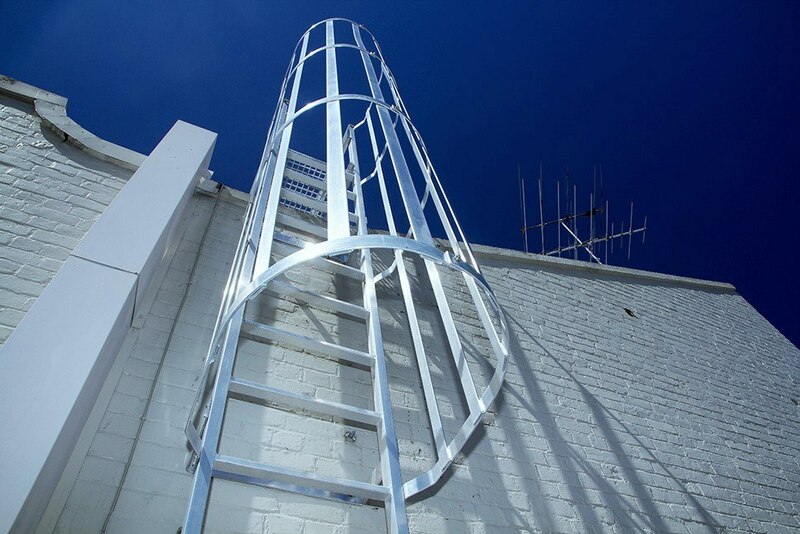 We design, manufacture and install premium quality aluminium ladders and cages that meet safety best practice. 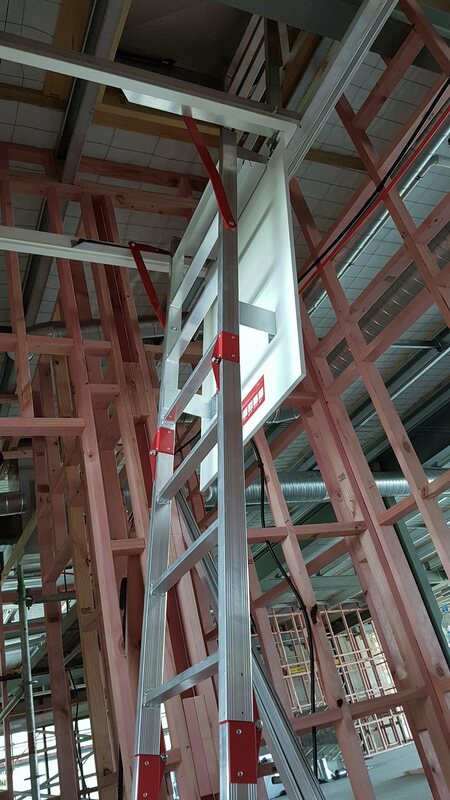 Our tailor-made or out-of-the-box ladders are lightweight and strong, providing for a safe working load of 150kg. 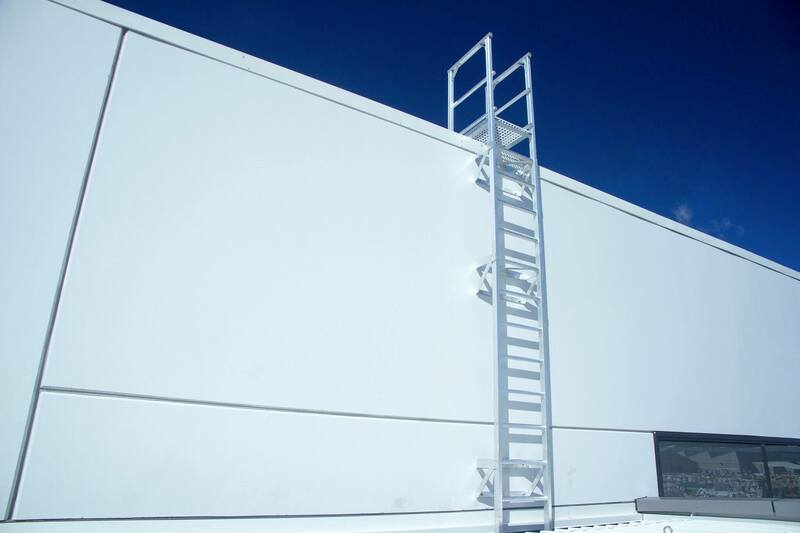 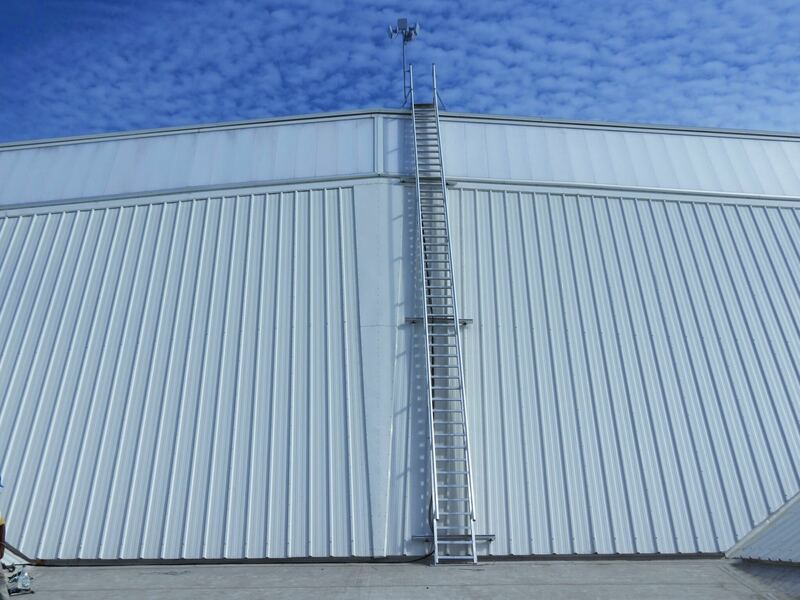 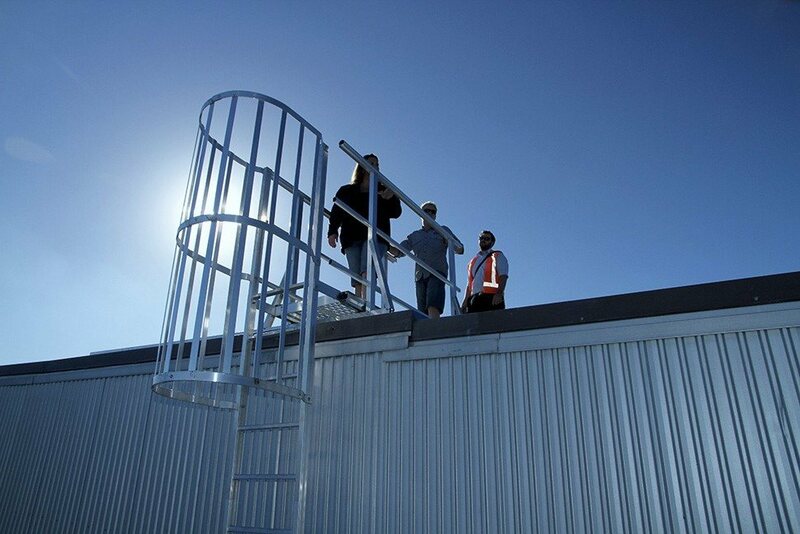 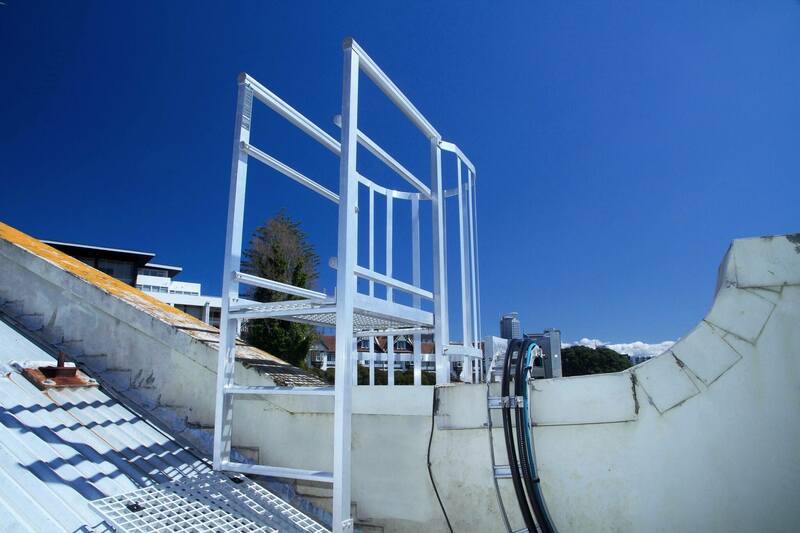 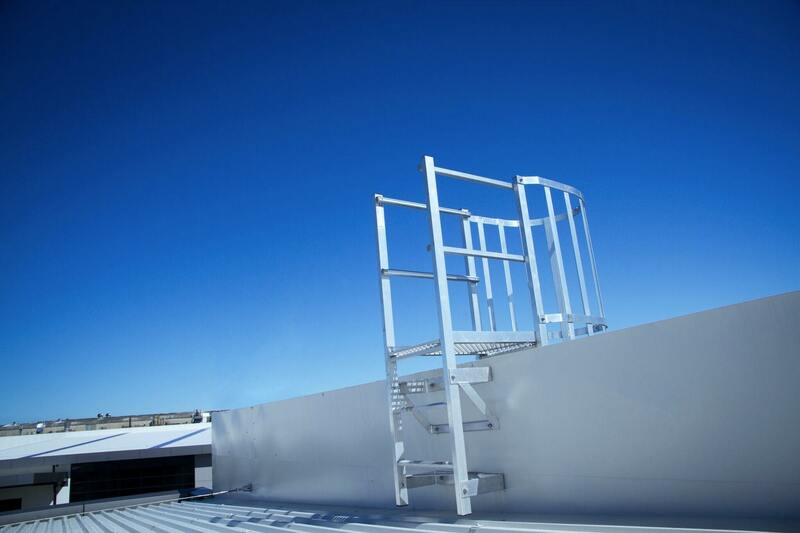 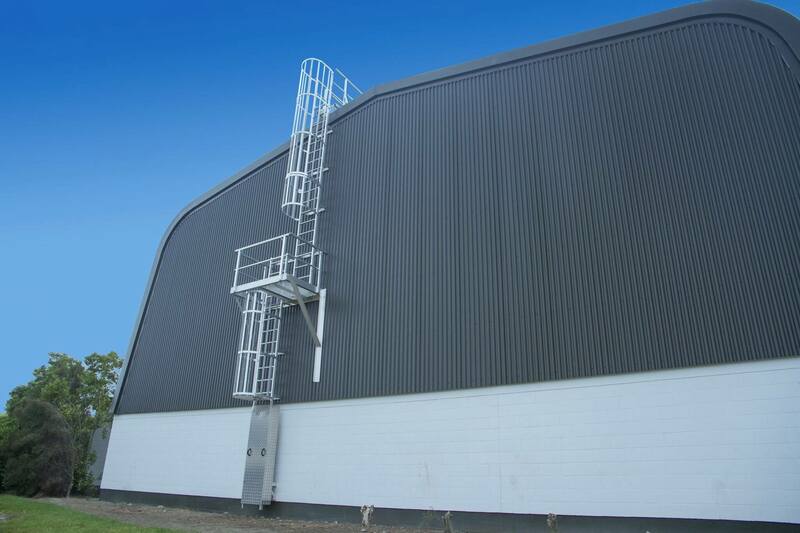 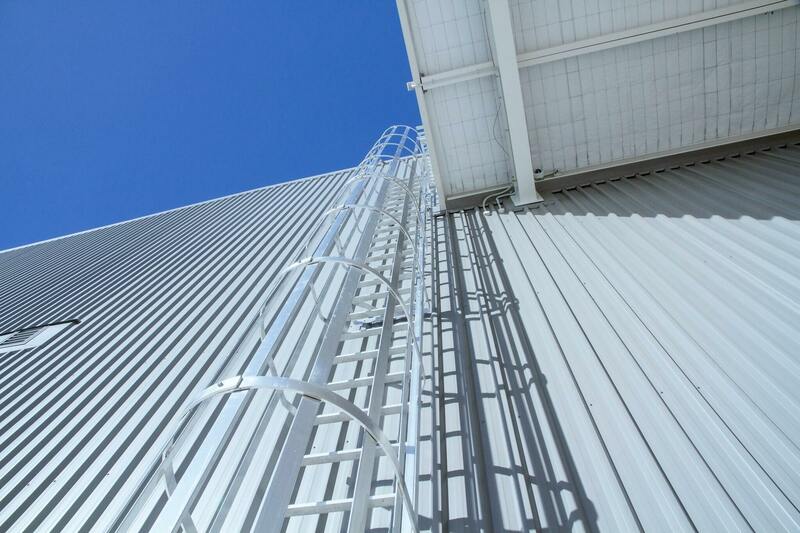 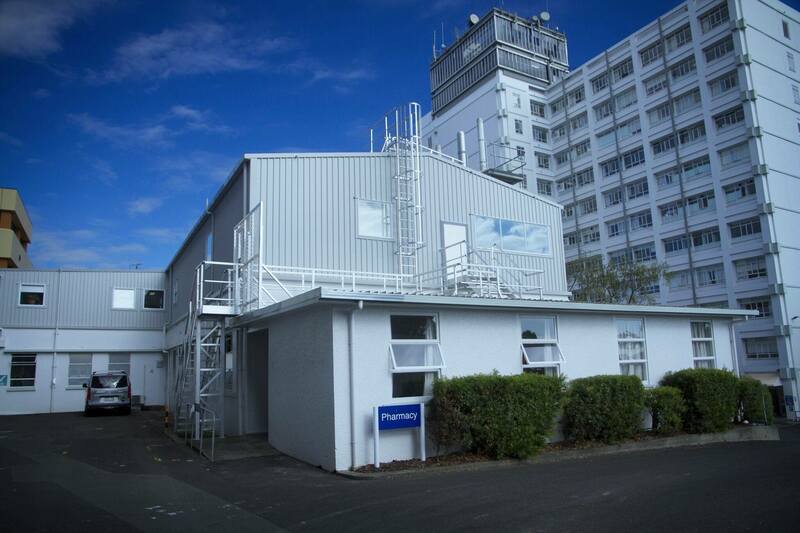 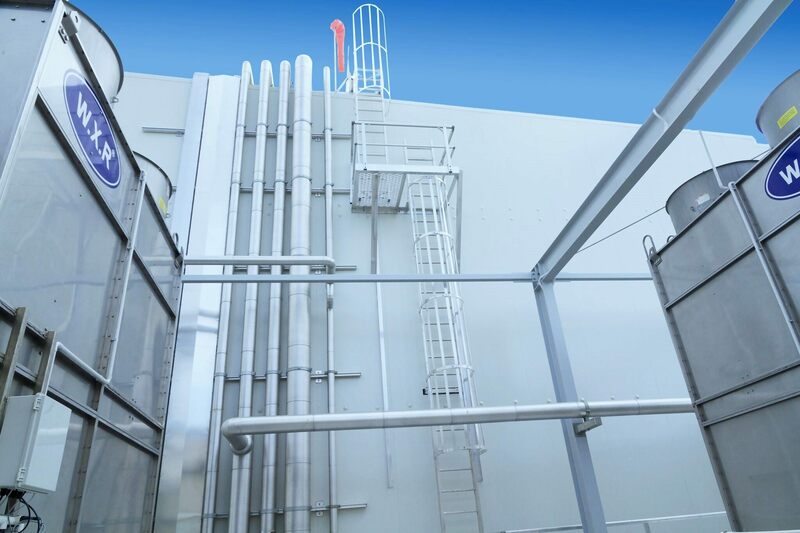 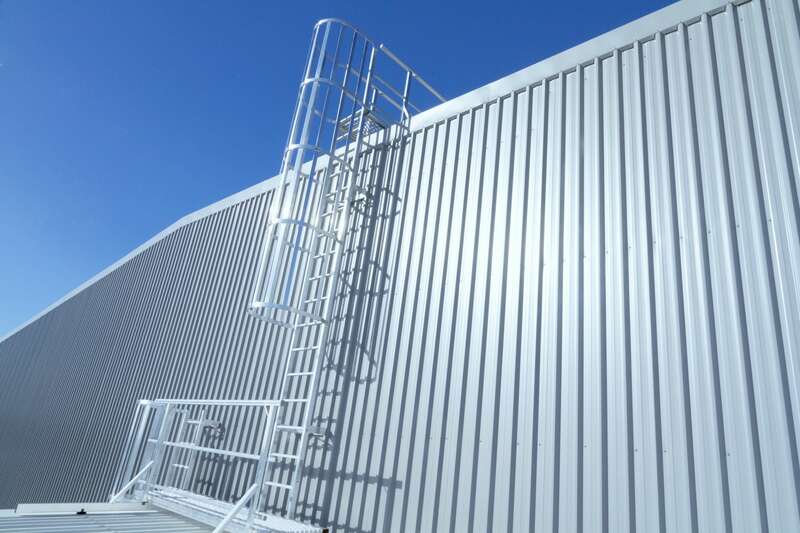 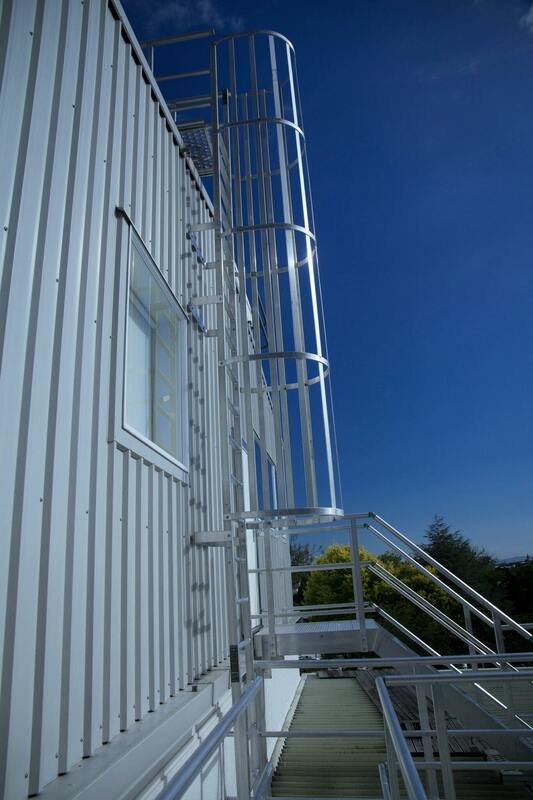 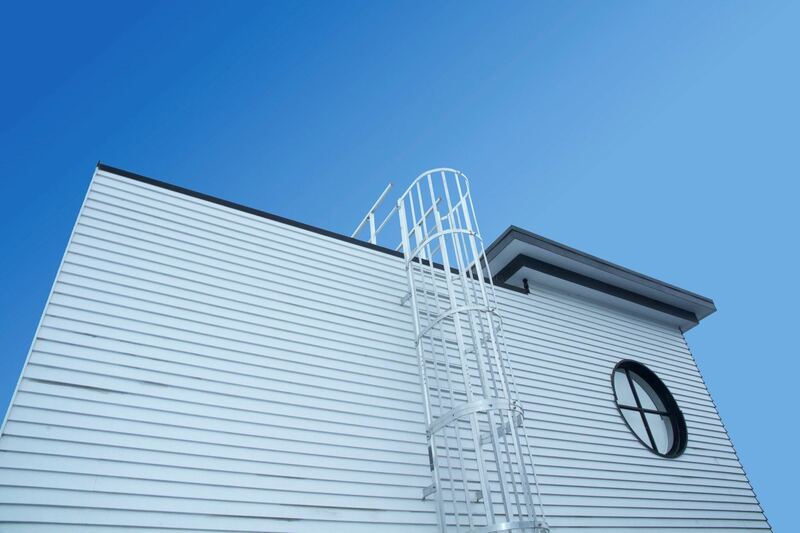 Enclosed roof access ladders or easy folding access, our ladders are fully compliant with industry standards and certifications in New Zealand and Australia. 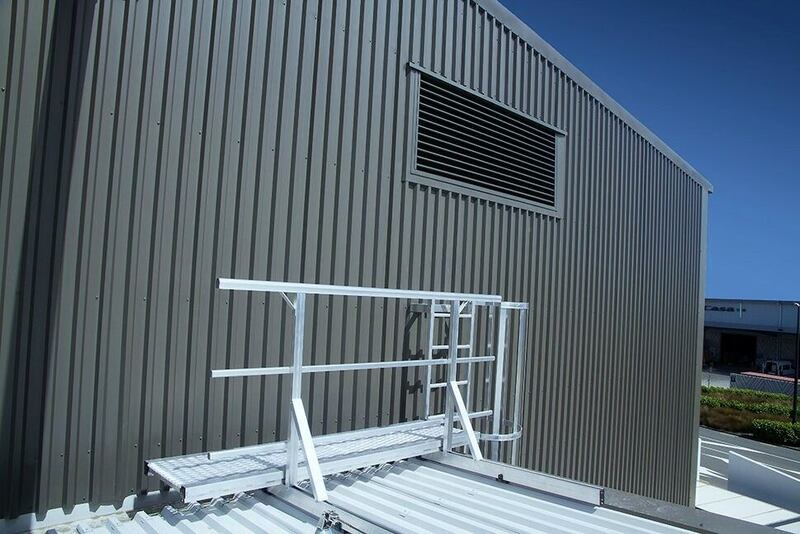 We manufacture in accordance with Australian Standard AS1657:1992 and relevant statutory OHS Codes of Practice. 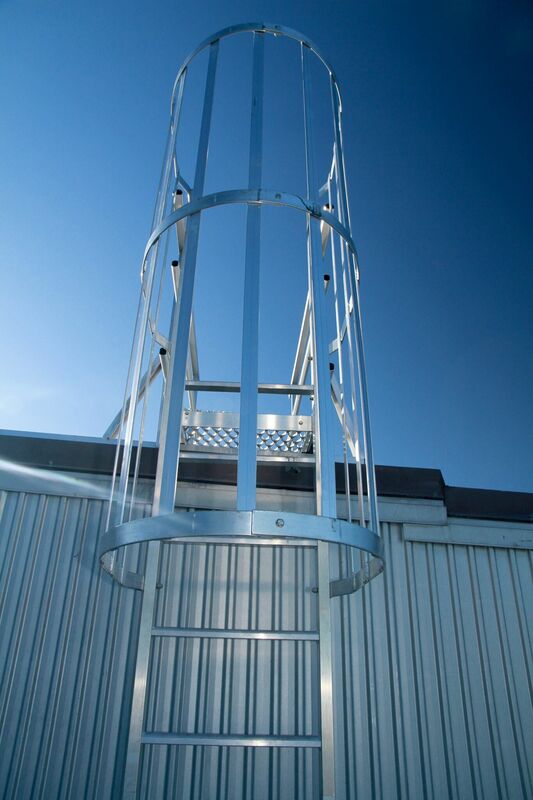 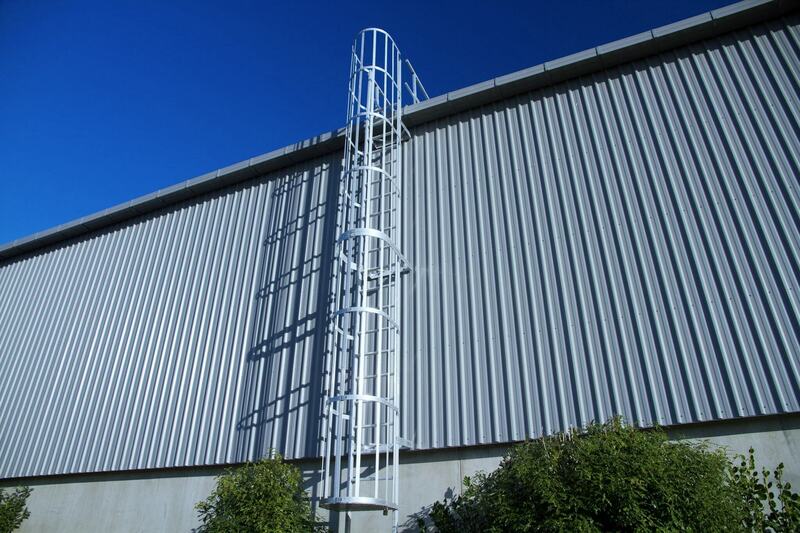 These ladders are often teamed with our premium aluminium or Fibre Reinforced Plastic (FRP) walkways. 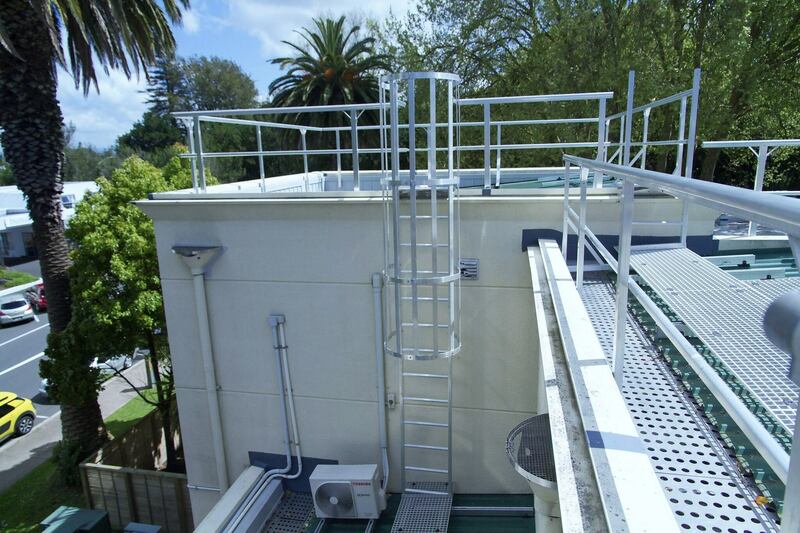 Caged ladder with walk-off Permanent caged ladder system with walk-off, that provides safe and easy access to elevated areas with ladder stiles to extend 1000mm or more above landing surface. 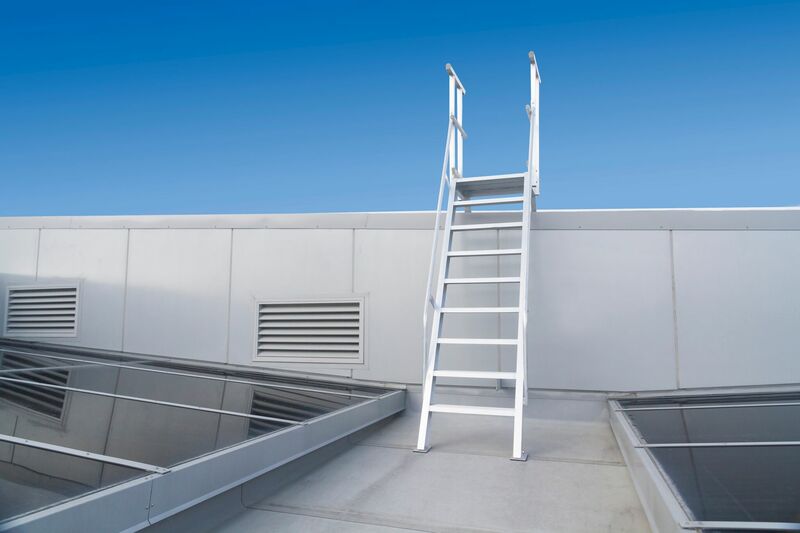 Fold-down ladder Fold down ladder for internally accessible safe access to ceiling space or rooftop. 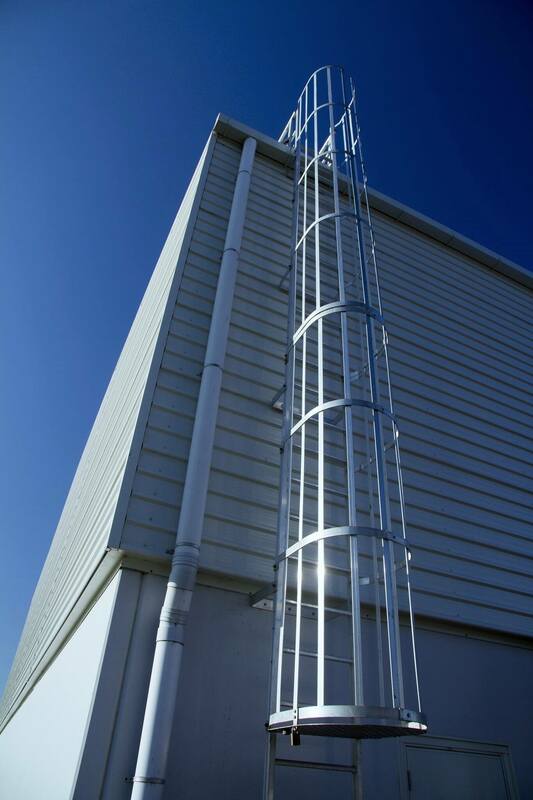 Line ladder Permanent line ladder system that provides safe and easy access to elevated areas with ladder stiles to extend 1000mm or more above landing surface. 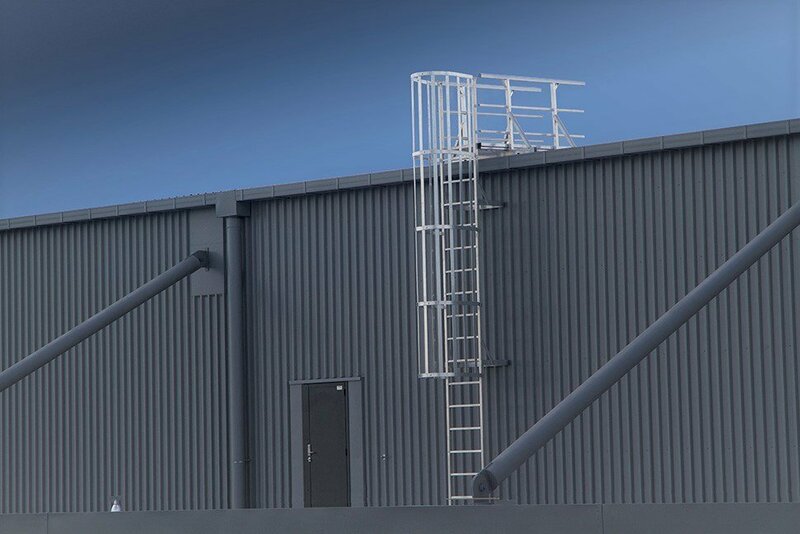 Angled caged ladder with mid-landing & walk-off Permanent angled caged ladder system with mid-landing and walk-off kit, that provides safe and easy access to elevated areas with ladder stiles to extend 1000mm or more above landing surface. 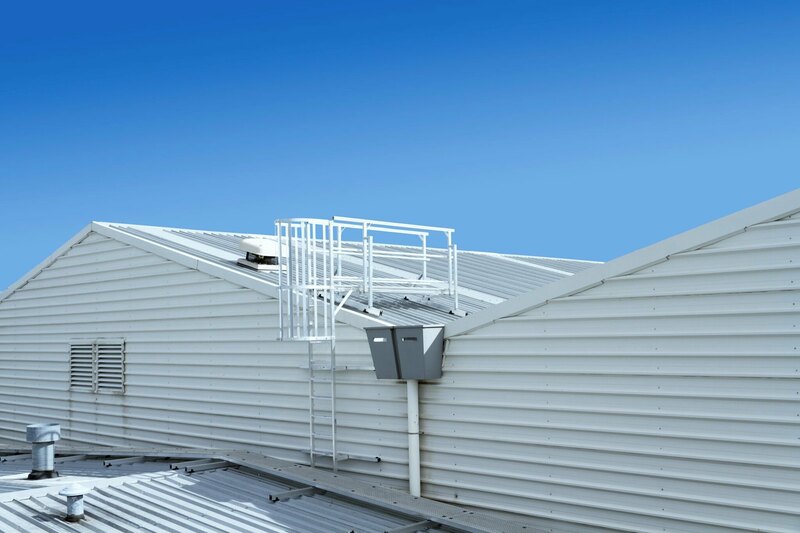 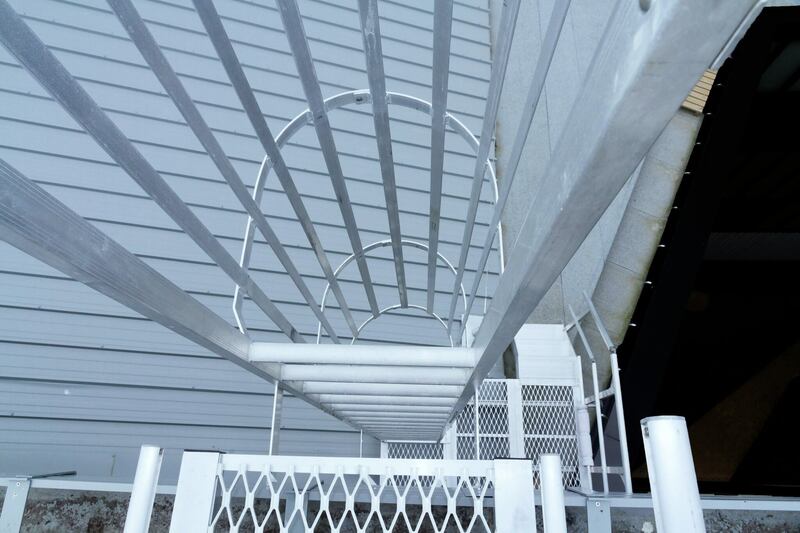 Angled caged ladder with walk-off Permanent angled caged ladder system with walk-off, that provides safe and easy access to elevated areas with ladder stiles to extend 1000mm or more above landing surface. 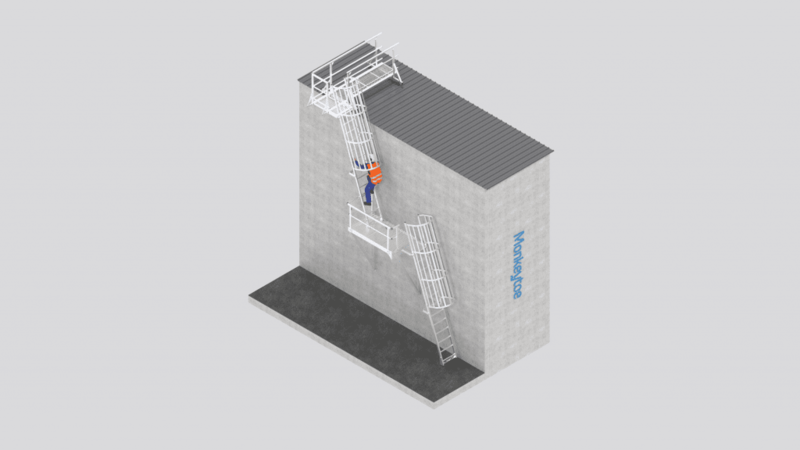 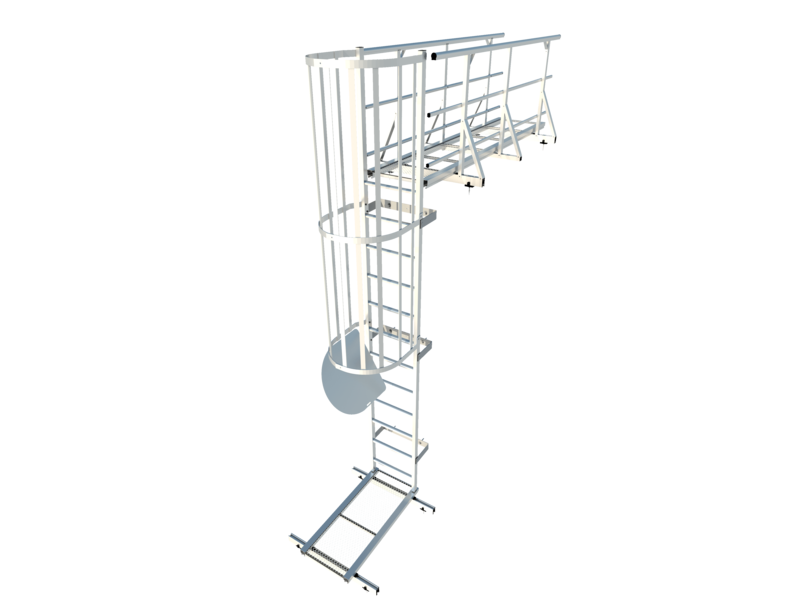 Caged ladder with mid-landing & walk-off Permanent caged ladder system with mid-landing and walk-off, that provides safe and easy access to elevated areas with ladder stiles to extend 1000mm or more above landing surface. 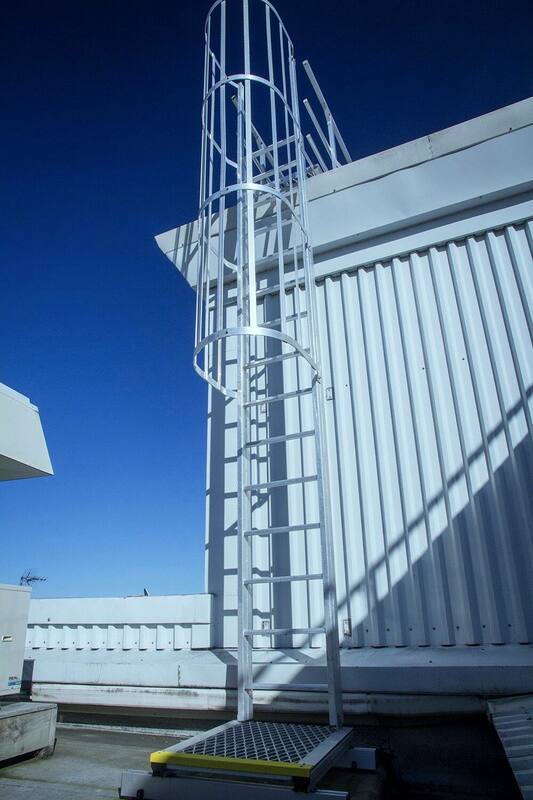 Caged ladder with extendable stiles Permanent caged ladder system that provides safe and easy access to elevated areas with extendable ladder stiles that extend 1000mm or more above landing surface. 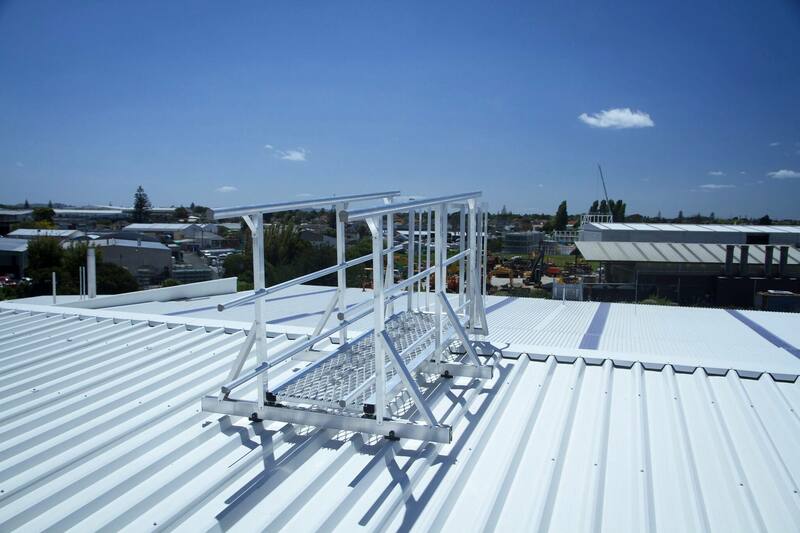 Caged ladder Permanent caged ladder system that provides safe and easy access to elevated areas with ladder stiles that extend 1000mm or more above landing surface. 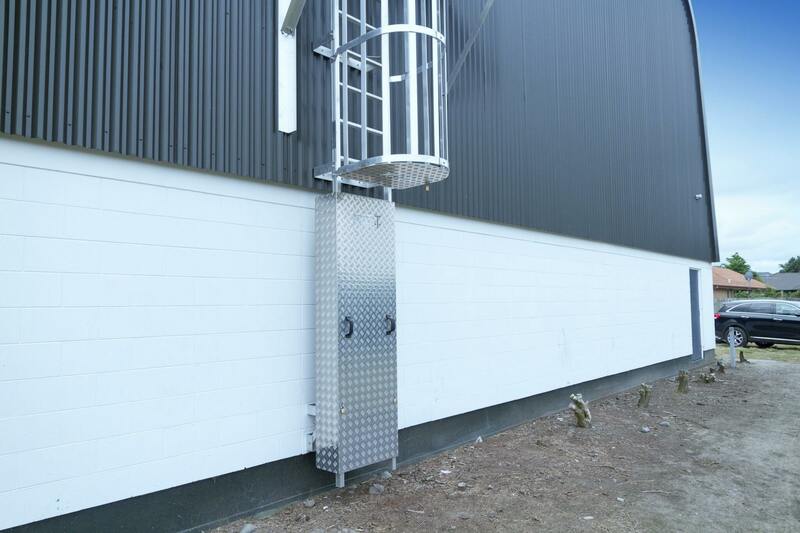 Non-caged ladder with extendable stiles Permanent non-caged ladder system that provides safe and easy access to elevated areas with extendable ladder stiles to extend 1000mm or more above landing surface. 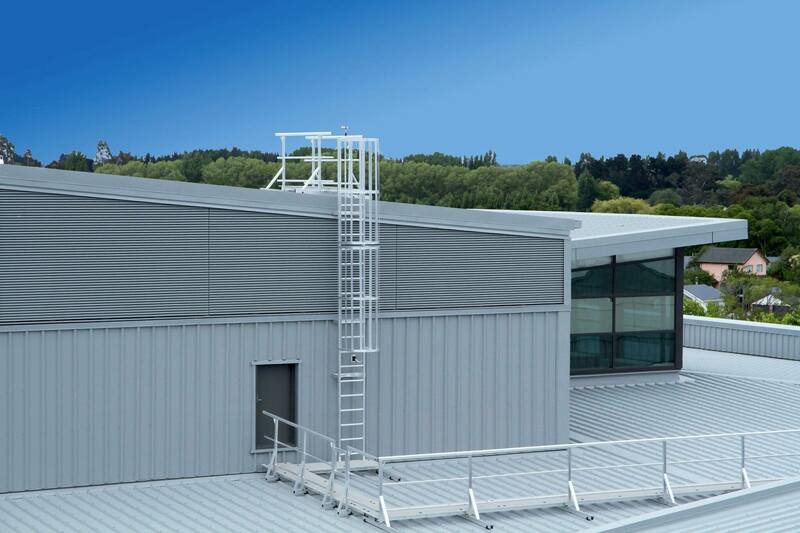 Non-caged ladder Permanent non-caged ladder system that provides safe and easy access to elevated areas with ladder stiles to extend 1000mm or more above landing surface. 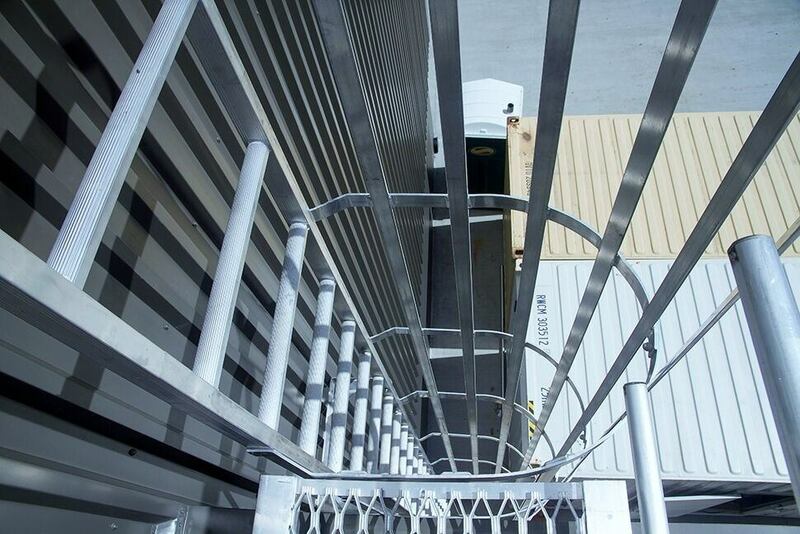 NOTE: Configurations could take up to three minutes to load fully depending on the size & complexity as it is configured in real-time based on requirements. 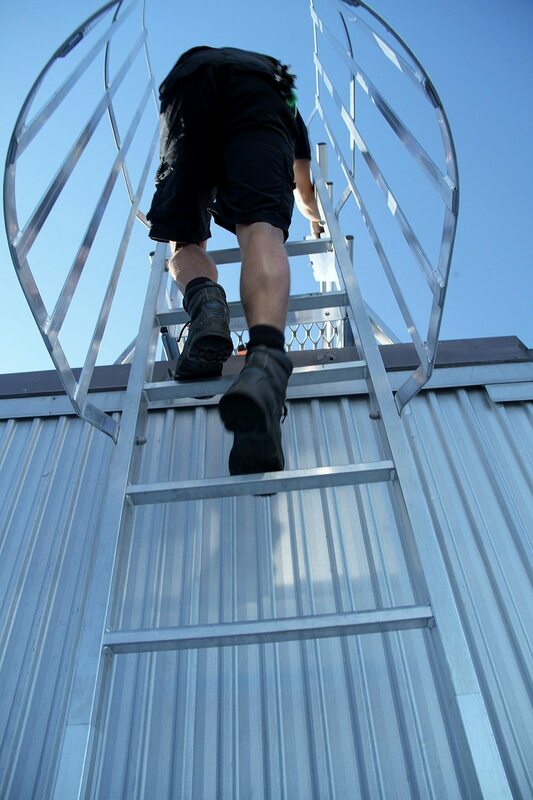 Fold-down ladder for hatch access. 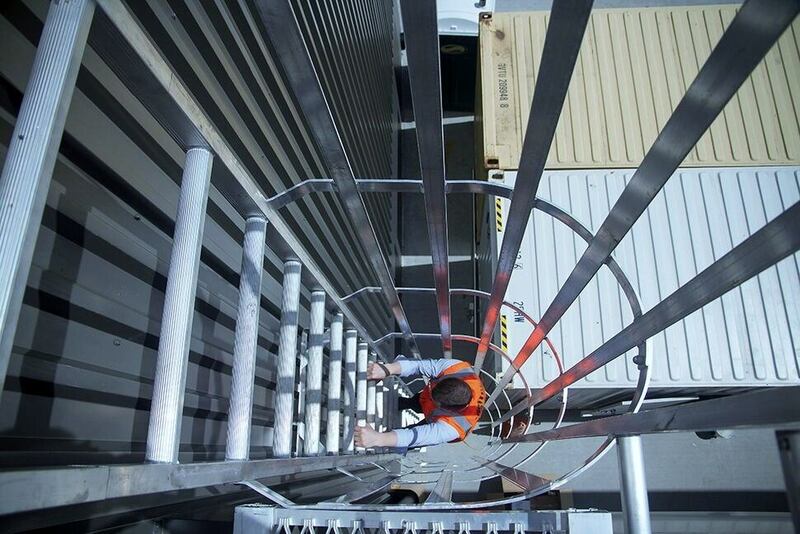 This system has been designed to the AS/NZS 1170 Standards Australia / New Zealand (Relevant parts). 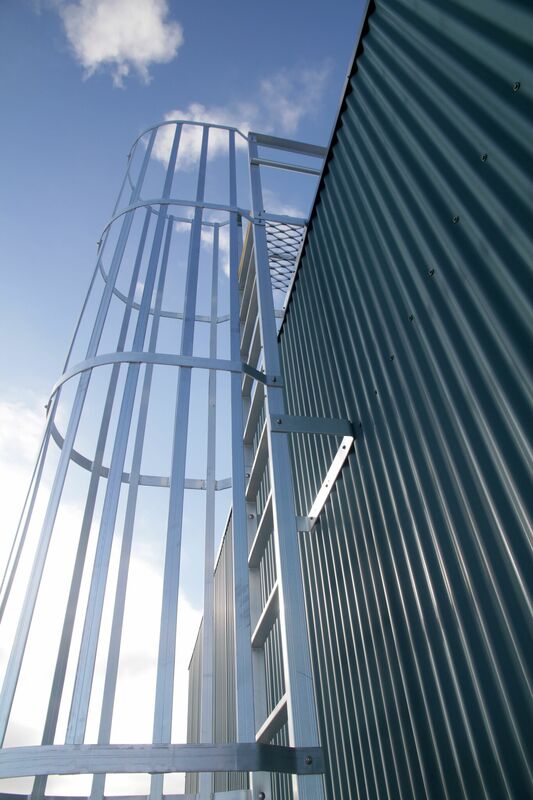 Structural design action B1 and in accordance with Aluminium Structures, Part 1: Limit State Design AS/NZS 1664.1 Standards Australia / New Zealand NZS/AS 1657. 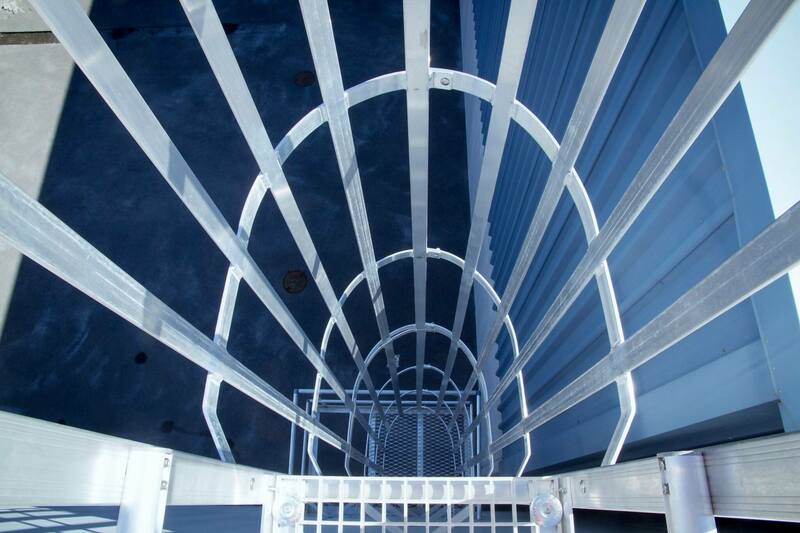 At what height does a modular ladder required a safety cage? 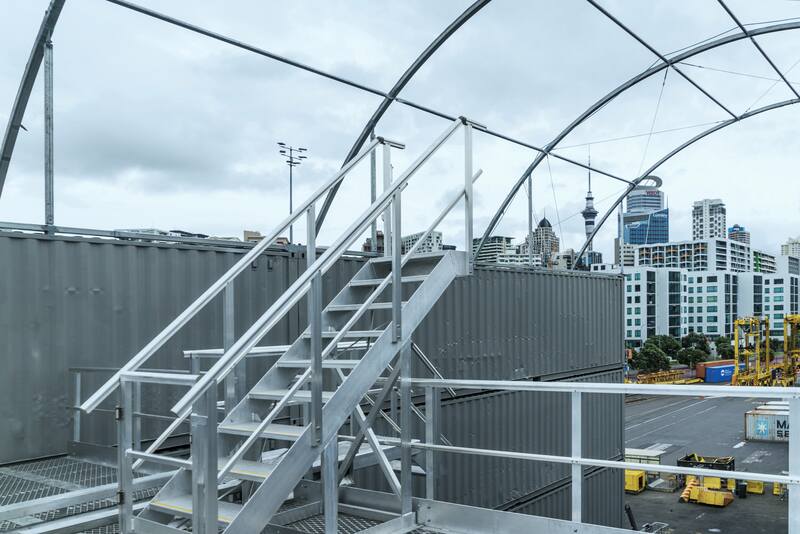 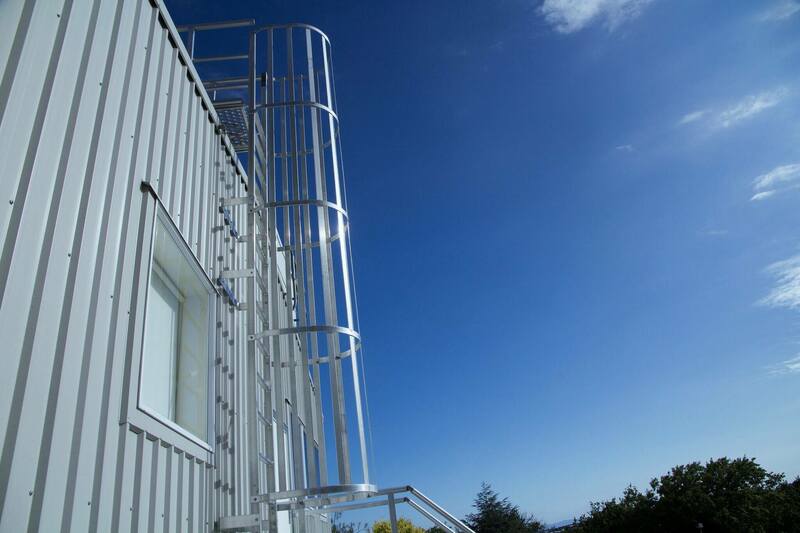 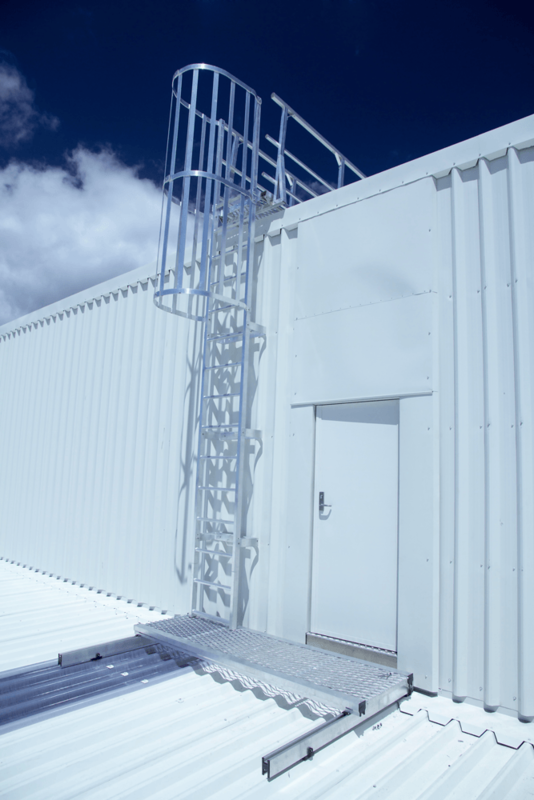 This does depend on how the permit for the building was done as the department of building and housing and the AS/NZS 1657, 1992 have different interpretations but we recommend any ladder that is 3m-4m from the ground to the top rung to have a safety cage. Whether you have a difficult space to reach, or need a bespoke architectural design, we will provide a structure that is compliant and safe. 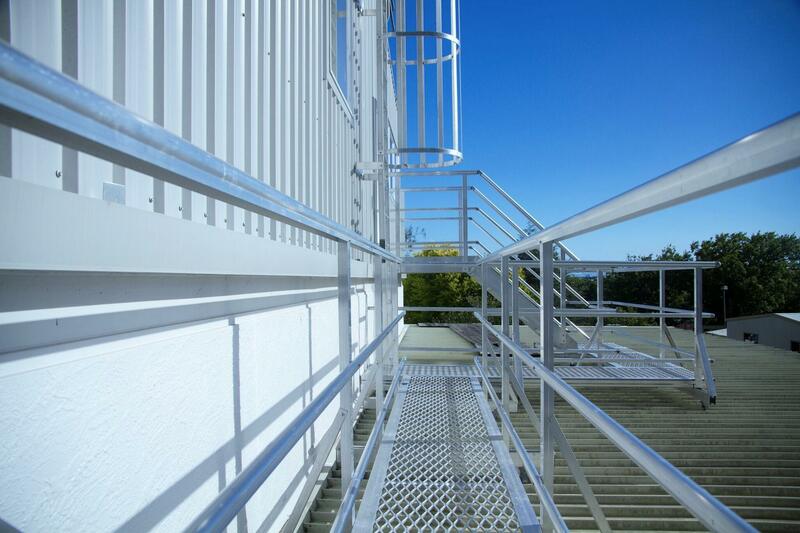 As specialists in custom access and mounting, we can quickly provide a smart, economic and comprehensive design. 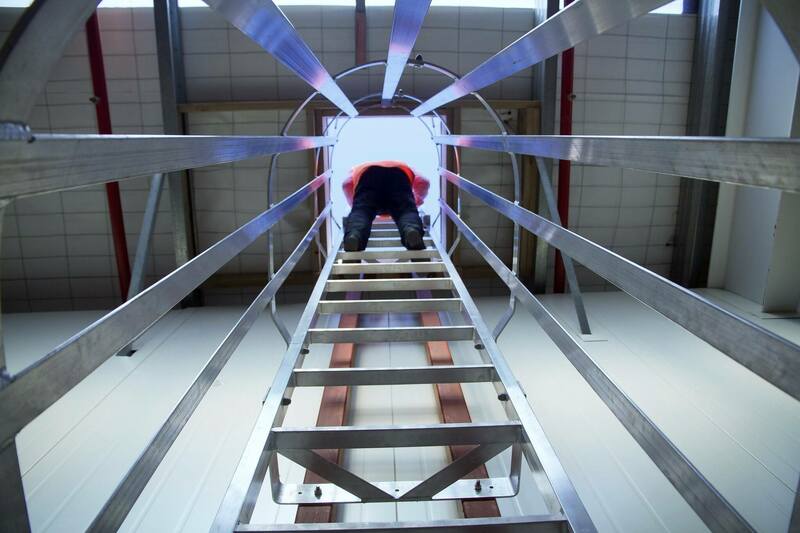 Our end-to-end service encompasses design and documentation, manufacture and installation, through to code compliance. 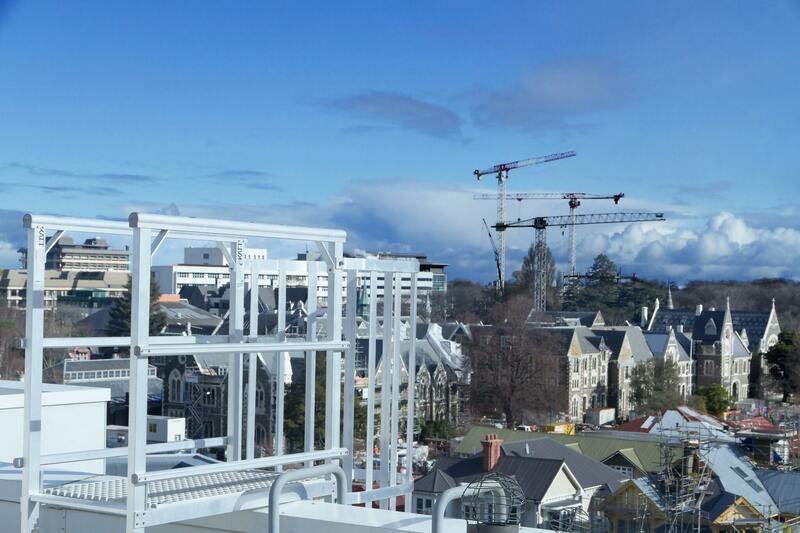 The new ANZ Christchurch Stadium was designed & built within 100 days! 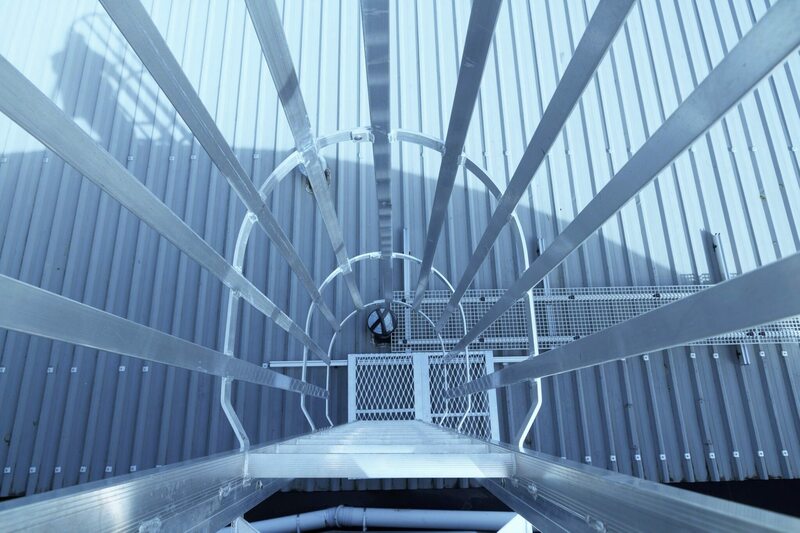 An astounding feat in itself and a true testament to the team involved, in terms of commitment, dedication & enthusiasm to make it happen. Monkeytoe arose to the challenge in both designing a creative solution to our access needs as well as delivering a quality product on site. 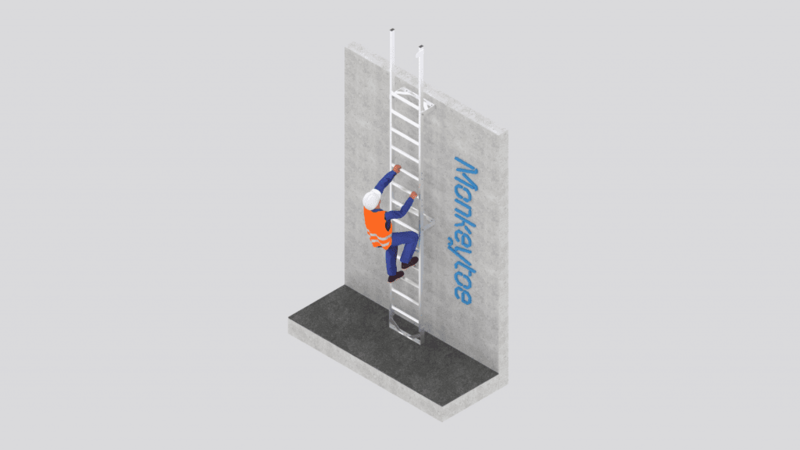 Well done to the Monkeytoe team and we look forward to working with you again. 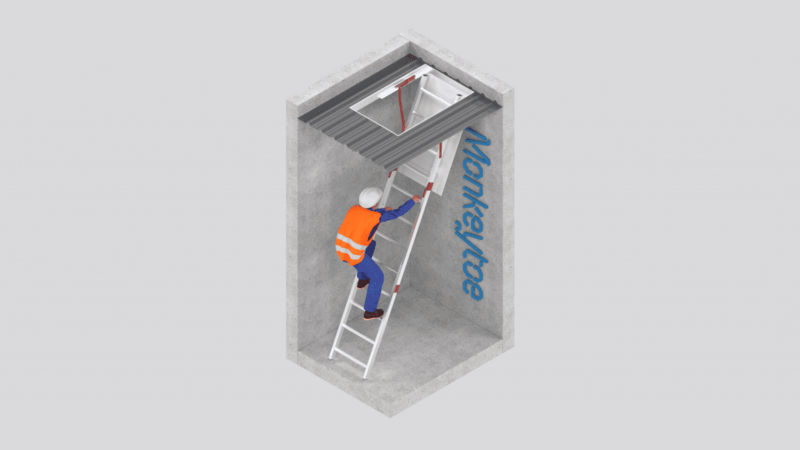 We were pleased to have a comprehensive Monkeytoe roof access system installed on one of our high-profile retail properties. 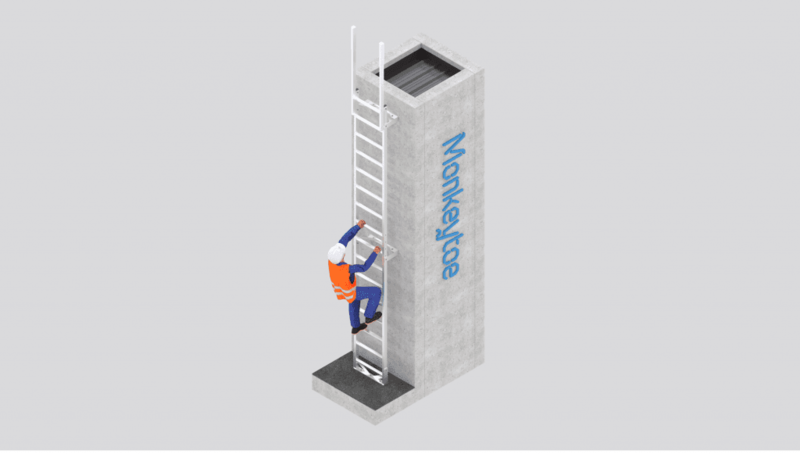 Monkeytoe assisted us in achieving our vision to provide a safe work environment for everyone, protecting lives and assets. 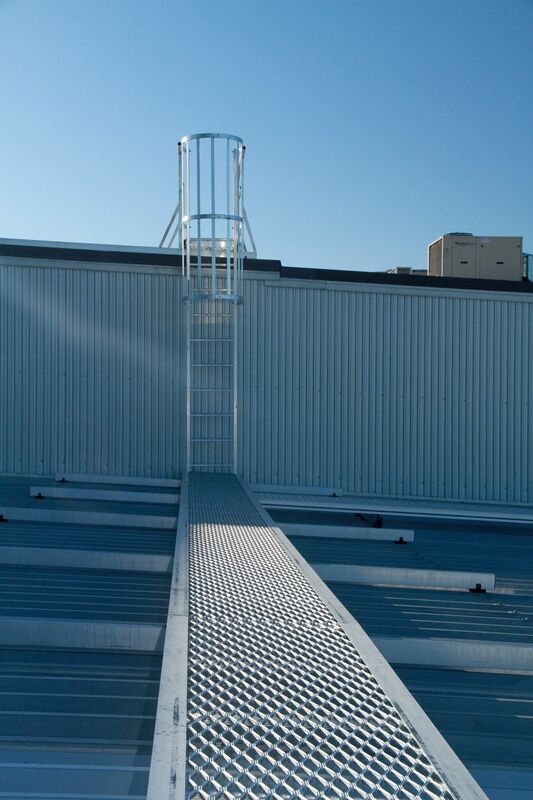 We now look forward to having a similar system installed to our other properties. 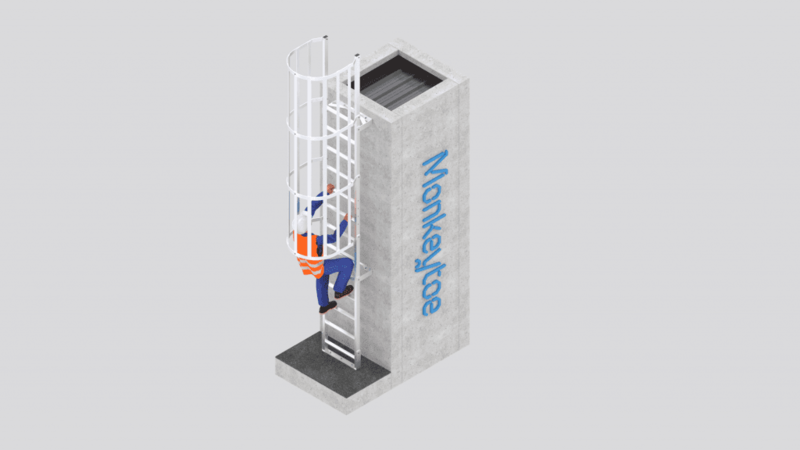 We have provided a safer, more accessible access method for our staff by using the Monkeytoe access solution. 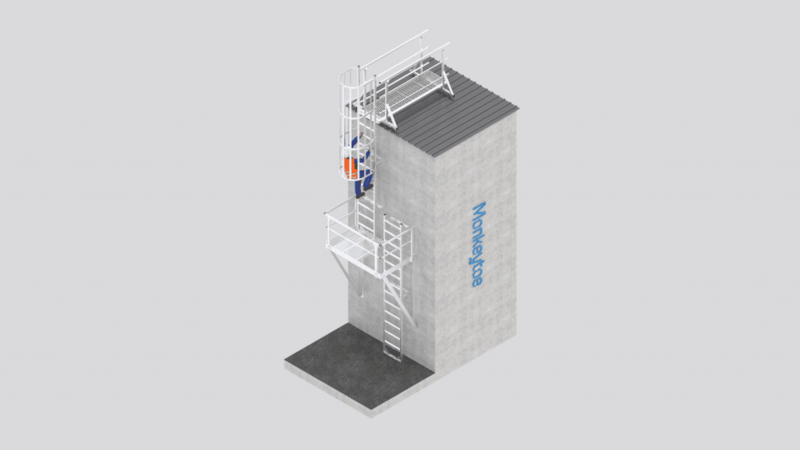 Thank you for your request. 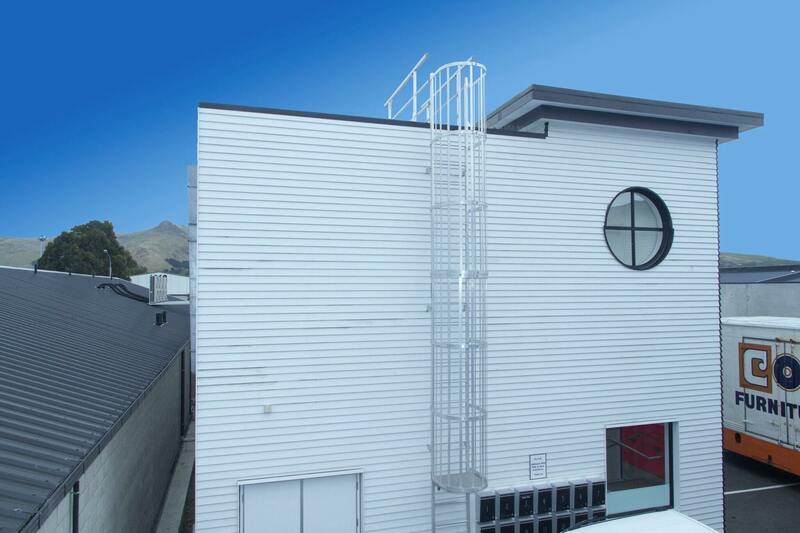 We will be in touch.